My recipe is my own, but strongly inspired and influenced by my Nonna. 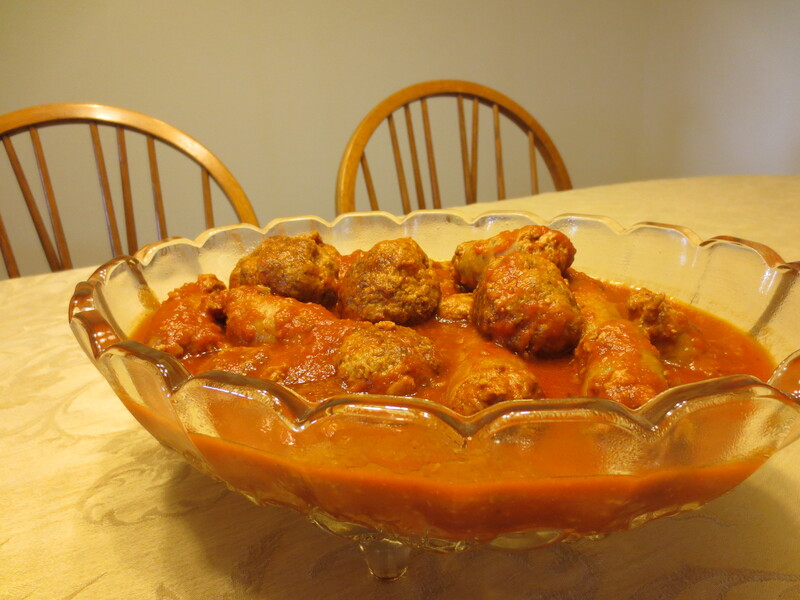 Typically, I make a huge pot of Traditional Family Tomato Sauce and add the meatballs, as well as sweet and hot Italian sausage, all of which simmers for hours until everyone in the house gathers around with plates and forks and ravenous appetites. The look on their faces lets you know it’s time to MANGIA! BELLA sent me a 5QT Programmable Slow Cooker and asked, “Are there any Italian specialties that would work well with this product?” I immediately thought ‘sausage and meatballs! 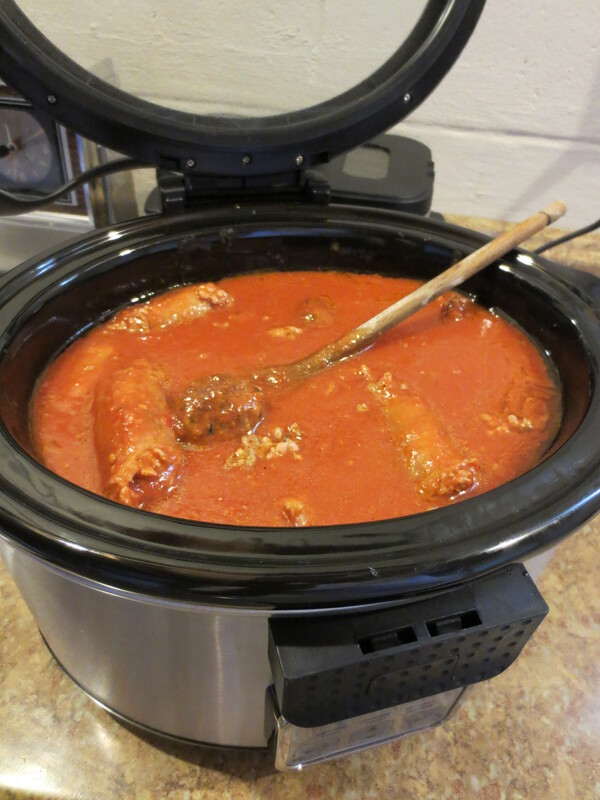 !’ I started my sauce in a pot to sweat the garlic and brown the sausage, but rather than simmer in the pot (which requires frequent stirring), I poured into the slow cooker, added the meatballs, closed the lid, and set the timer for five hours. When it was time for lunch, I boiled water for pasta and lunch was served. The rocket blender you see in the picture was perfect to emulsify the whole tomatoes – it’s small, compact, and does the job to create a smooth, velvety marinara. Add the parsley, garlic, onion, salt, pepper, bread crumbs, and egg to the meat. Mix by hand until well-blended (but again, don’t overwork the meat – makes it tough and our goal is soft, moist meatballs). Roll golf ball sized amounts of the meat mixture – dip the fingertips of one hand into the glass of water and roll the ball between your hands until smooth and round (this gives your meatballs moisture and a rounded, smooth shape). Once all of your meatballs are rolled, set aside. In a large non-stick skillet, pour canola oil half-way up, and heat over medium. When the oil is hot, gently place all of the meatballs into the pan. Fry for a couple of minutes, and then gently turn the meatballs repeatedly until all sides are browned. Continue to fry until meatballs are evenly browned and fully cooked (about 8-10 minutes). Remove from pan and place on a paper towel to remove excess oil. At this point, you have several options. Throw them into your simmering sauce, serve fried ‘as is’ with a side of Sughetto di Pomodoro, or you can also freeze the meatballs, saving them for a rainy day when you need a quick dinner. These freeze nicely and can be stored for up to 2 months. Again, fresh is always best. Awesome. I can’t wait to make these meatballs. Molto Grazie! Prego! Hope you like them and let me know how they turn out! I made the meatballs and they turned out great. I made so many that we had enough for meatball hoagies the next day. Thanks again! Abbondanza of meatballs! So glad you enjoyed them and tried them out! I love leftover meatballs – hoagies (love that you said hoagies, btw), pizza topping, or melted with cheese! 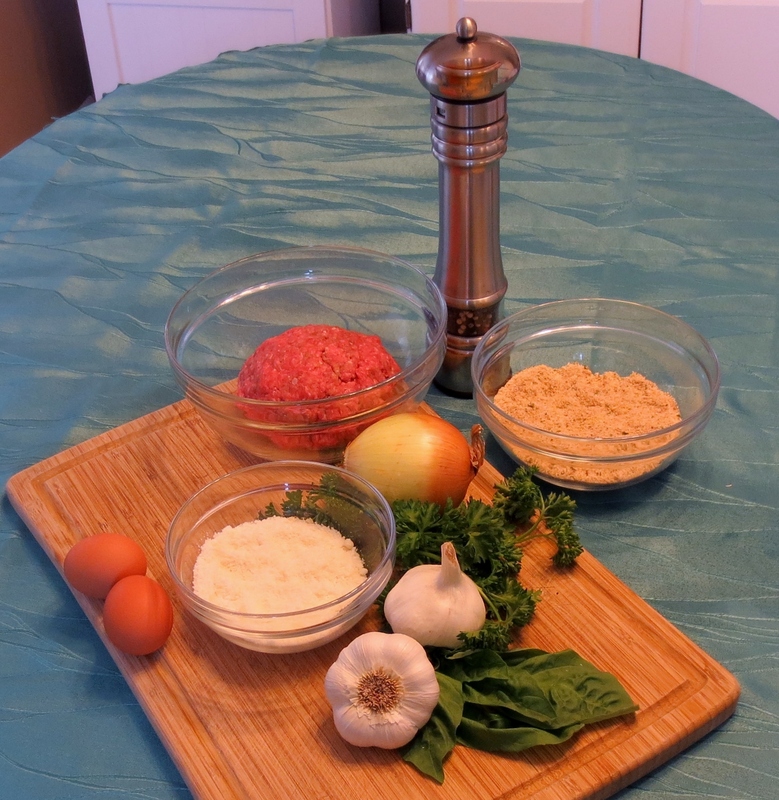 I think you’ll like my lasagna recipe – will be posting it later this evening! Happy 4th of July! Mille grazie! I literally could eat these every day! 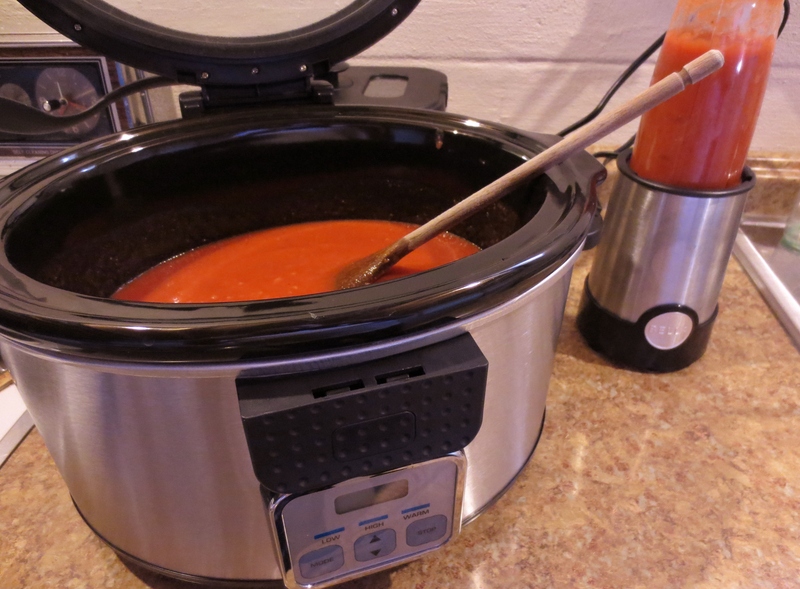 Wow, totally love that you are using a slow cooker with the sauce. What a fabulous idea! Thanks for the recipe, my hubby would adore these! They look so juicy and tender.. and nothing like the icky dry things that I’ve come up with in the past! Thanks for checking out the recipe, Dawn. 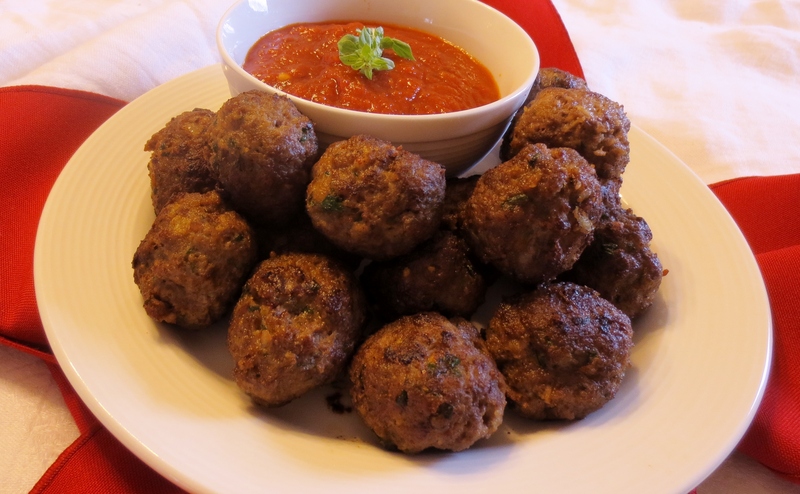 These meatballs freeze beautifully, which makes the slow cooking method so easy and carefree – on those days when the ‘to-do’ list is a mile long, throw them into the slow cooker with your favorite sauce or even just two cans of crushed tomatoes (little olive oil and salt and that’s it) – 2 hours later…YUM!